The Fulham Supporters Trust were delighted to attend the launch of two new Supporters Direct policy papers this afternoon at Westminster. The two briefing papers – Developing Public Policy to Encourage Supporter Community Ownership in Football and Developing Football Regulation to Encourage Supporter Community Ownership in Football – are intended to inform the Coalition government and members of the Culture, Media and Sport Select Committee ahead of the publication of the Committee’s report on football governance. You can download the policy papers here and here. 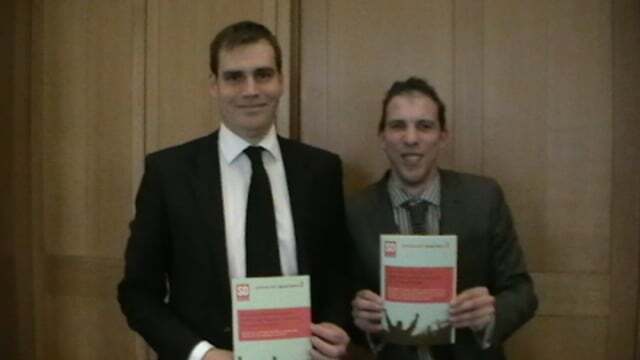 The launch was hosted by former Fulham Supporters’ Trust chair Tom Greatrex and attended by a number of MPs and supporters’ trust representatives.